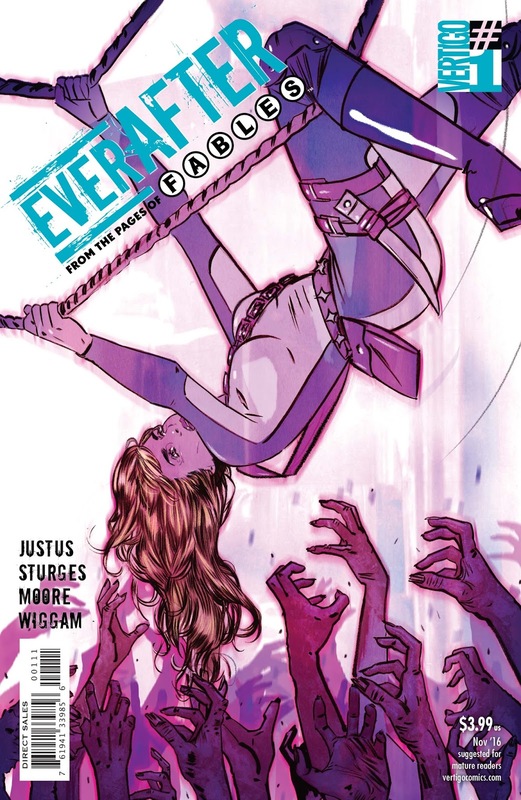 The inaugural issue of Everafter fails to qualify as a full meal, but it is surely a tasty morsel that will leave readers wanting more. For every question answered concerning the fates of our fabled heroes, more arise. 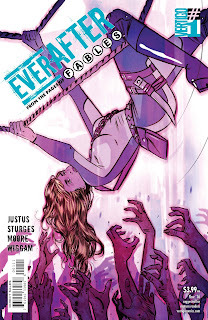 An unspecified amount of time has passed between the last issue of Fables and this first issue of Everafter, but it is immediately apparent that much has changed. No longer are the magical creatures of Grimm fairytale lore restricted to Fabletown, New York. 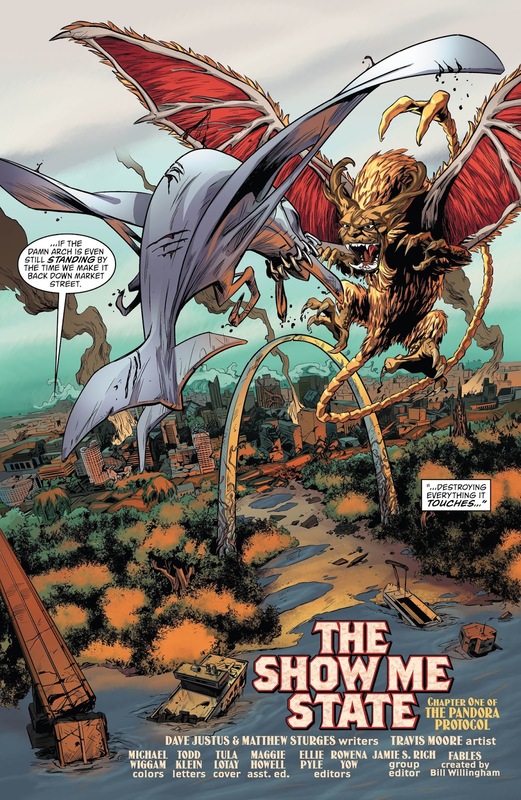 A mixture of standard fare zombies crowding the streets of St. Louis, and more exotic beasts such as a manticore are boldly displayed across several splash pages. We find our heroes, most of whom are familiar to us, operating as agents for a mysterious secret organization known as the Shadow Players. As the pages turn, there is little that is revealed. This issue felt like any typical first chapter. The intent is to grab the attention of the reader, and I believe that job was done fairly well. It did feel somewhat short, and the story arc was less of an arc than a line, but it was nonetheless entertaining. The artwork was enjoyable, and I'm excited to see where this series takes us. Can the Shadow Players put the genie back in the bottle? They may be able to combat the magical forces seemingly bursting from the streets, but it's unlikely that things will ever return to normal. The mundane world has had some considerable time to gaze upon their strange and mystical counterparts. How much of a role will the mundys have in fighting with or against the Shadow Players? 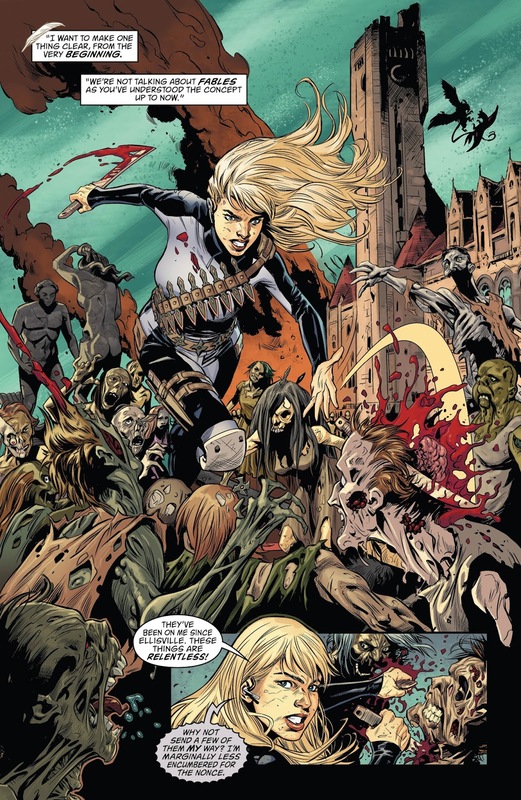 Surely the US military isn't pleased with the fact that St. Louis has been overrun by zombies. It's hard to imagine they would let that stand for long. There is also a mention of more lore being created as each day passes, and I find that interesting. 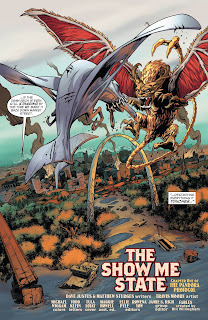 Is there to be a showdown between recently created monsters and the beings from Grimm fairy tales? If I have one pressing concern for the series it is this: is the market for revamped fairytales large enough to sustain another entry? 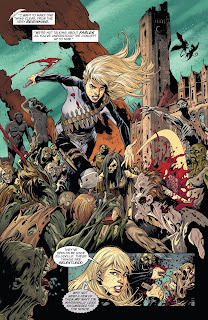 Between Disney’s new live action renditions of their classic animated movies Alice in Wonderland, Snow White and the Huntsman, to TV shows such as Grimm, Supernatural, and Once Upon a Time, one has to wonder if this town is big enough for all interested parties. If I were to take a guess I would say Everafter has a fighting chance due to their well established preexisting audience. The Verdict: Whether you’ve been a fan of the Fables series and Telltale’s The Wolf Among Us, or you’re brand new to this universe, I can confidently say this entry will intrigue most comic readers. That being said, this issue is still only a small taste. There’s no real need to rush out and buy it unless you need a fix to hold you over until your other fairytale show starts its new season. Barring that circumstance, perhaps it would be best to let this one play out for a few more issues before investing in it.